She will look radiant at your wedding in this Floor-length Flower Girl Dress girl dress. 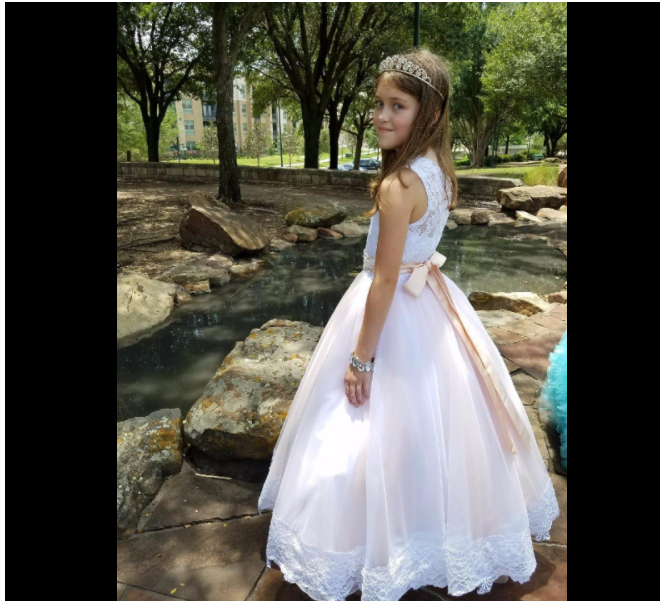 This sleeveless girls dress features a sheer illusion jewel neckline embellished with shiny rhinestones, gorgeous lace overlay fitted bodice, lace over tulle hemline, and a rhinestone brooch accent at waist. The dress has a buttoned up back for a perfect fit. This dress was a last minute pick and I must say it turned out Beautiful! 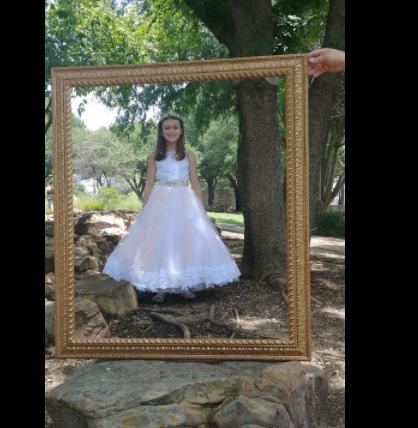 My daughter is so pretty with the dress. I'll come and buy more. Really cute shoes. They don't seem to be made to last, but for something that won't get worn for play, they're just adorable. My daughter loves them. So cute! These are well- made and look just like the picture. no issues my 3year old niece seemed to be comfortable.